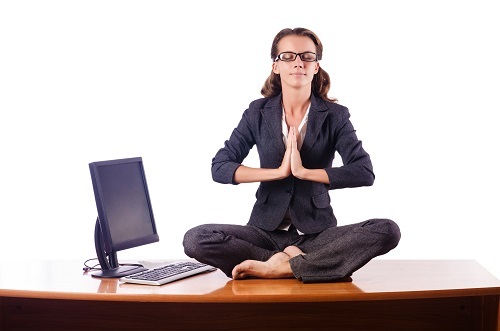 Stop absenteeism and grow your return on investment with corporate wellness programs! The definition of corporate wellness is simple: it is any program designed to encourage healthier lifestyle choices for your workplace. The implementation of the definition of corporate wellness can bring many valuable benefits to your workplace. Research shows that corporate wellness programs can reduce absenteeism, improve productivity and grow positive morale. Let’s take a look at how a corporate wellness program can benefit your workforce. According to the Gallup, “Economics of Wellbeing” report published in December 2014, employees who thrive in overall wellbeing have 41 percent lower health-related costs compared with employees who are struggling with health issues and 62 percent lower costs compared with employees who are severely suffering from health issues. In addition, absenteeism due to poor health can cost your company $3,600 per year for each hourly employee and $2,650 a year for salaried employees. Couple those figures with what The Integrated Benefits Institute calls “Presenteeism” (when employees are in the office, but their health status keeps them from being productive) and illness cost American companies $227 billion a year. Your workplace cannot afford to have sick, unhealthy employees. Corporate wellness programs also help increase satisfaction, focus and productivity for your employees. To begin implementing a corporate wellness program, first Wellworks For You will assess your company’s specific health concerns, absentee records, work environment and your organization’s goals. Then we work to engage your team in healthy programs that address all areas of health including smoking cessation, weight loss, exercise, healthy eating and preventative health management. We can also work with you to develop incentive programs, lunch and learn sessions, health risk assessments and group exercise opportunities. The sky’s the limit! Pennsylvania-based Wellworks For You, wrote the definition of corporate wellness. We are the leading experts on custom corporate wellness programs for companies, groups and organizations of all sizes. Our team of health experts works with you to develop a corporate wellness plan that helps reduce absenteeism, improve workplace health and gives your employees a healthy, productive outlook! From implementing smoking cessation programs to wellness incentives, Wellworks For You can help your workforce become happy, healthy and productive! We specialize in providing a true return on investment. Work with us to save money and grow efficiency! Call us today for a full consultation and to learn more about Wellworks.